Following up on my last blog about creating custom access based on Active Directory group membership in vROps, I had another interesting case for a custom view based on vSphere tags. This time I had a request from a customer who wanted to have a read-only overview of all virtual machines that belong to a specific department. All other vROps dashboards and features should be hidden. 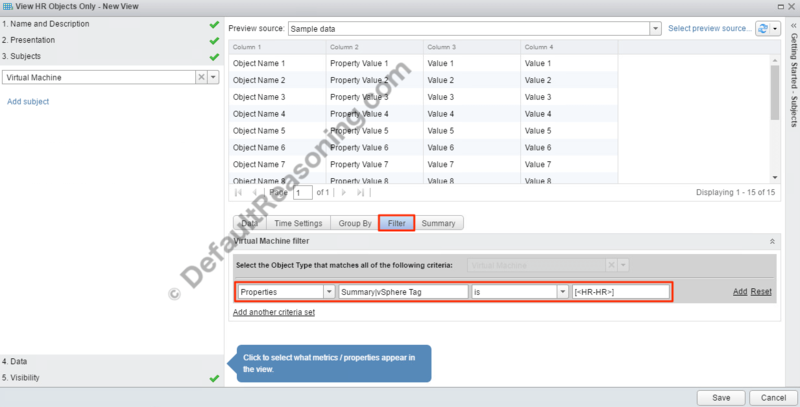 To do this, you need to define and set tags and categories on you vSphere objects first. I assume you already using tags so I will skip this part. 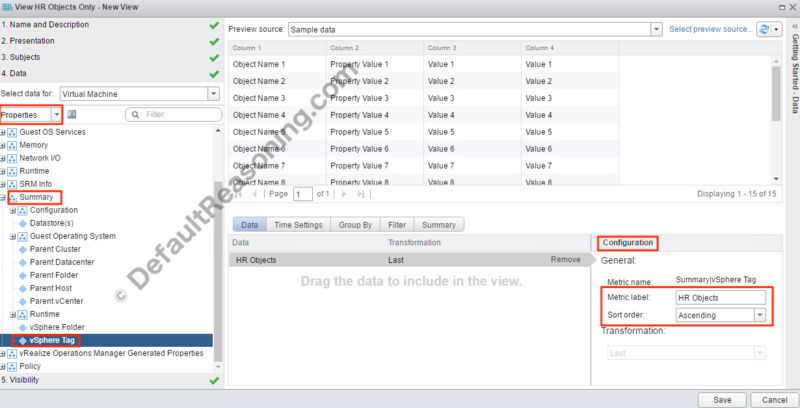 To display objects that have a specific tag assigned in a custom dashboard, you need to create a custom view based on vSphere tags first. 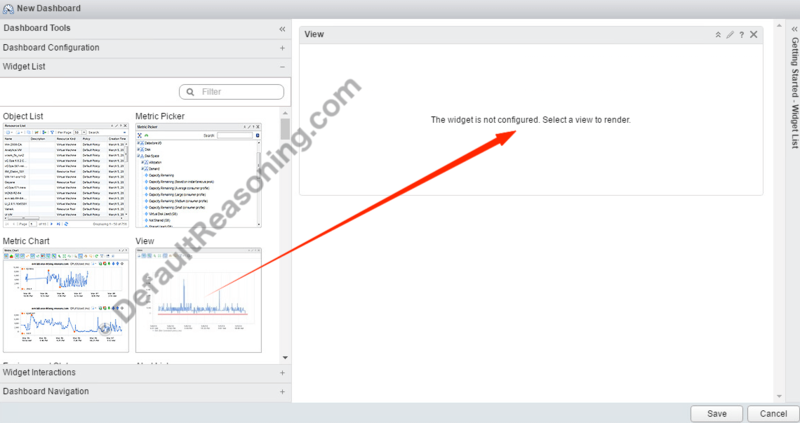 Log in to vROps user interface as the admin user and navigate to Content -> Views. Click the green plus sign to create a new view. Enter a name and description. Go to Presentation. Select List and change the number items per page if necessary. Next, go to Subjects Select Virtual Machine as the subject. In my case, the tag is called: HR. Proceed to the Data pane on the left-bottom. 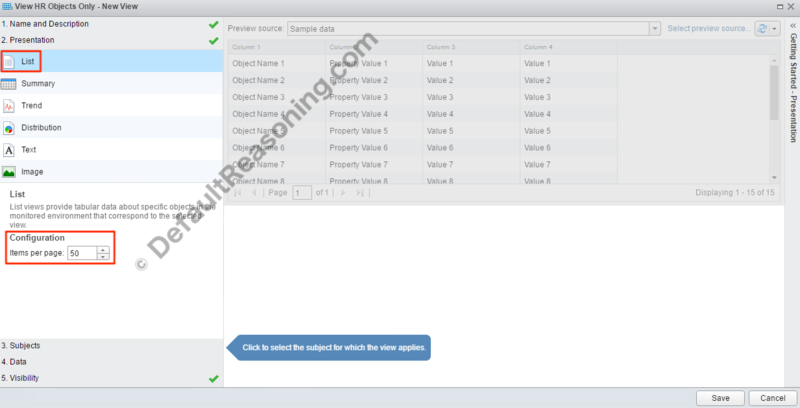 From the second drop-down menu select Properties and double-click the vSphere Tag from the list to add it to the data pane. Provide a metric label and select desired sort order in the configuration pane. Select Visibility and make the view available for dashboards, reports templates, and details tab. The custom view is now ready to be used in a custom dashboard. Go to Dashboards and click the green plus button to create a new custom dashboard. Enter a name and description. Leave the default option to No. Select the View widget from the list and drag it to the left pane. Resize if necessary. Edit the widget by clicking the pencil icon. Change the title accordingly, set Self Provider to On. 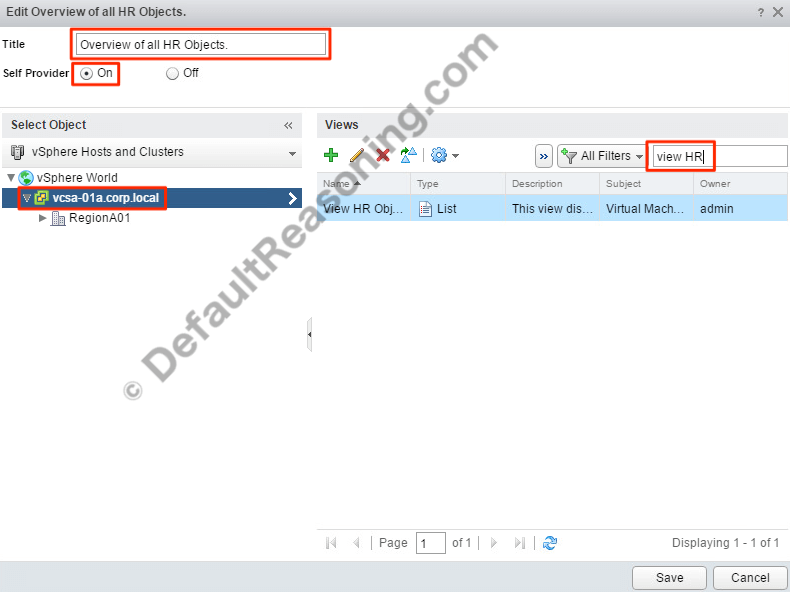 Select the vCenter Server object from the list on the left and enter select the View created earlier. You can filter the views list by name. Click Save. 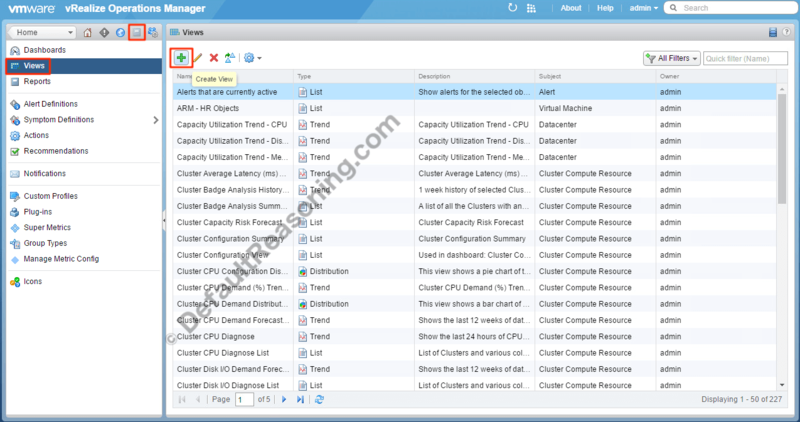 The list should be populated with all objects that have the specific tags assigned in vCenter Server. Don’t configure any Widget or Dashboard interactions. Click the gear icon on the Dashboards page and select Share Dashboards. Select and drag the custom dashboard created earlier to a group in the left pane. Click Save. Log in to vROps as a member of the group configured in the previous step and verify if the custom dashboard is the only one available. That’s it! You can, of course, extend this view to display more information. Or reconfigure the custom dashboard to show more information about the objects.